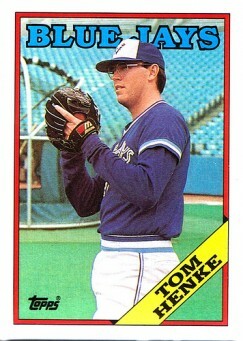 In 2001, Tom Henke got six Hall of Fame votes for 1.2 percent of the ballots, far short of the five percent needed. And while his final career numbers fell short of Cooperstown, how he left the game sparked an intriguing “what if?” about his Hall of Fame prospects. Hall voters have been remarkably slow to embrace the relief pitcher. It took eight ballots to get Hoyt Wilhelm in. Rollie Fingers wasn’t in on the first ballot. It took 13 turns to get Bruce Sutter in. Goose Gossage, the biggest no-brainer other than Fingers, inexplicably took nine ballots before getting in. So when the undeniable greats had trouble getting voted in, a borderline candidate like Henke has little to no chance. But take a close look at Henke’s career. His Baseball Reference page lists his similar pitchers as the likes of Robb Nen, John Wetteland, Todd Worrell, Dave Smith, Rod Beck and Troy Percival. That seems about right. Each one of those pitchers were dominant pitchers for a stretch before injuries caught up with their careers. Armando Benitez is also listed as a similar pitcher, which is a slap in all of their faces. Flush all of his stats down the drain. Being compared to Benitez as a reliever is like comparing a singer to Alfafa from the Little Rascals. When Henke’s career turned a corner as a 27-year-old middle reliever for the 1985 Division Champion Blue Jays, he looked like a late bloomer. But in 1986, Henke no longer fought for saves with Bill Caudill and Jim Acker and became the closer by himself. The result was he became one of the most feared relievers in the game. He struck out 9.8 batters over nine innings over 14 seasons in the bigs. His individual season save total wasn’t as gaudy as some of his contemporaries (like his fellow Hall of Fame ballot rejects Dave Righetti and Steve Bedrosian who racked up some eye popping regular seasons.) But by the late 1980s, Henke was saving games along side Duane Ward and being part of a devastatingly deep Toronto bullpen. In 1989, when the Blue Jays returned to the playoffs, Henke saved only 20 games. But he finished 56, struck out 116 batters in only 89 innings and pitched to a 1.92 ERA. Over the next three seasons, the Blue Jays made the post season two more times with Henke leading the deep pen, instead of being a compiler, while keeping up around a four-to-one strikeout to walk ratio. In 1992, when future Hall of Famer and saves compiler Dennis Eckersley couldn’t contain Roberto Alomar and the Blue Jays, Henke clinched the pennant in Toronto. He lacked that great career highlight moment, as he blew the save in the ninth inning of Game Six of the World Series against Atlanta. The Jays would win the game in extra innings and it was Mike Timlin who closed out the series. But Henke saved two games in the series and outshone his Atlanta counterpart, Jeff Reardon, who was roughed up in Games Two and three. The Blue Jays decided to stick with Duane Ward as their closer after the World Series, and Henke went back to Texas. There he saved 40 games for the first time in his career. Then after the 1994 strike, he landed in St. Louis. The result was one of his best seasons. He saved 36 of the Cardinals 62 wins, pitched to a 1.82 ERA and made the All-Star team. At the end of the season, he was the 1995 National League Rolaids Relief Award winner. He had never received that honor in all of those years pitching in Toronto. In 1995, after years of piling up substantive seasons of leading the bullpen and being one of the most respected—but not one of the most celebrated—closers in the game, he seemed poised to start to pile up the stats and pad his Cooperstown resume. 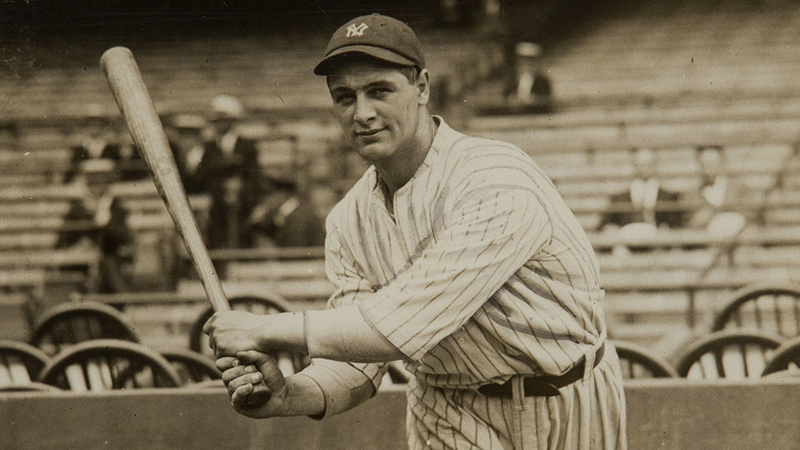 Sure he was 37 years old, but he wasn’t logging 200 innings a season. He could start climbing up the saves leader chart and maybe pick up another Rolaids Award. That’s right. He was declared the league’s top reliever and hung up his spikes. Maybe he wanted to go out on top. Maybe he knew that piling up saves wasn’t going to make a compelling Cooperstown case. (It sure never helped Lee Smith, Reardon and John Franco.) Maybe he saw the late Dan Quisenberry, who has an argument for election, be dropped after the first ballot. Or maybe the Hall of Fame never entered his mind, and he was a humble family man who was content with 14 big league seasons, multiple All Star appearances, a World Series ring, millions of dollars in the bank, love and respect from a fan base and walking away on top. If only he were greedier. He might be in the Hall of Fame. He’s in the Canadian Baseball Hall of Fame, for what it’s worth. It seems to me that BBWAA Hall of Fame voters have been too hasty to embrace the relief pitcher, with Fingers and Sutter looking like mistakes. Nice article! I was a big Henke fan back when he was pitching so it’s especially cool to see this article on him. I can’t say for sure whether Detroit Michael (in the 2nd comment) was joking or not but I assume not. And if he was, I’ll say I’m not in agreeing that Fingers election is a mistake. I had been surprised to read that you considered Fingers a no-brainer for the Hall of Fame. The greatest relievers in history are Rivera, Fingers, Wilhelm, Eckersley and Gossage. I’m really not sure how many relievers should be in the Hall of Fame… I haven’t really made up my mind considering how little pitching is actually done but in very high leverage situations. That being said, however, I really don’t think Fingers is one of the top 5 all time. Off the top of my head I don’t know who I would consider the top 5… maybe I’ll take a look and ponder it later. Do they belong in the Hall of Fame? By the way, I must say I love the comments on The Hardball Times. Even when someone doesn’t agree with me and we may have a debate and never find a middle ground, it is coming from a place where two people who clearly know baseball disagree about something. The other day my own blog got a TON of readers on a Mets post I did. Granted, my post was dripping with sarcasm. But MAN those Met fans can be nasty. Henke actually has one of the BEST ERS’s in save situations in history… which, is really how we need to start valuing closers. Due to that & the fact I hated to see him pitch against my teams… he really should be in Cooperstown or at least be considered best closer that isn’t in the Hall. No way Fingers is one of the top 5 relievers in history. I doubt that he’s in the top 20. What criteria are you using to make that statement and could you name some of the other 15 relievers you think are superior? just ask some of the hall of fame hitters that had to face him … end of story !! But right away cross John Franco and Trevor Hoffman off the list. Please. Putting them on the list is insulting. Rivera, Wilhelm and Eckersley are fine picks. Billy Wagner is very interesting. I am big fans of Quisenberry and obviously Henke. But are you only using save percentage as a criteria? Are you looking into the number of relief innings they pitched and the era? Well, I haven’t been able to come up with a list of my top 5, although I did fiddle about looking at career numbers for some of the relievers in question…. but I must ask: Why do you think that Keith’s inclusion of Franco and Hoffman are insulting? I don’t know if I would put them above Fingers, but they certainly had damn fine careers. Rivera, Wilhelm, Face, Sutter, Quisenberry, Henke, Ward, Eckersly, Gossage, Tekulve, Smith, Wagner, Marberry, Smoltz. Those guys were all better than relievers than Fingers. That’s 14, and that was just off the top of my head. I’m sure I could come up with 6 more who were better than Fingers if I put some effort into it. John Smoltz 63.9, Dennis Eckersley 58.7, Mariano Rivera 52.9, Hoyt Wilhelm 41.3, Goose Gossage 40.0, Trevor Hoffman 30.7, Lee Smith 30.3, Billy Wagner 29.7, Firpo Marberry 29.4, John Franco 25.8, Bruce Sutter 25.0, Kent Tekulve 24.8, Rollie Fingers 24.4, Dan Quisenberry 24.3, Tom Henke 23.1, Doug Jones 21.5, Rick Aguilera 21.3, Jeff Montgomery 21.1, John Wetteland 20.8, Jeff Reardon 20.3, etc. Again, this wouldn’t be how I would rank them, but with all these arguments I couldn’t resist posting a couple lists. No, I am saying how NOT FUN Hall of Fame debates are going to be in the next bunch of years. Basing the evaluation of a player’s career on their postseason record is roughly like basing it on their record during the 4th week of May. Sure, performance in, say, 10 innings pitched in the postseason are more important than that in any 10 regular season innings, but it doesn’t reveal anything more about a pitcher’s ability. Using postseason performance to move a player very slightly up or down in your ratings is reasonable, because after all, those are the most important games, but you should never make them a major part of your analysis. I can imagine Jose Mesa in his press conference after blowing the save in Game 7 of the 1997 World Series. If Hoffman has a dominating 2005 or 2006 post season, I would probably be more lenient. If Hoffman held onto that lead in Game 3 of the 1998 World Series and the Yankees still went on to win, I would probably be more lenient. But Hoffman’s meltdown in 2007 in back to back “Padres are 3 outs from the playoffs and probably would be the best team in the NL side” games go a long way against hypothetical 2006 triumphs. Again, I think Hoffman will eventually get into the Hall of Fame and I won’t complain. I just won’t agree with it. I don’t give Eckersley a pass… But, as I typed before, he had some dominating post season performances. Normally I agree about weighing the career over the small sampling. But because by definition a reliever pitches in a small sampling and is a specialist position, I think you need to weigh the big games more than piling up the saves. You and I may never agree on that and I suppose it is a difference of philosophy. His stats impress me more than Hoffman’s and he always struck me as a game changing closer.